Every third Saturday over at Write.Click.Scrapbook. they post a sketch. 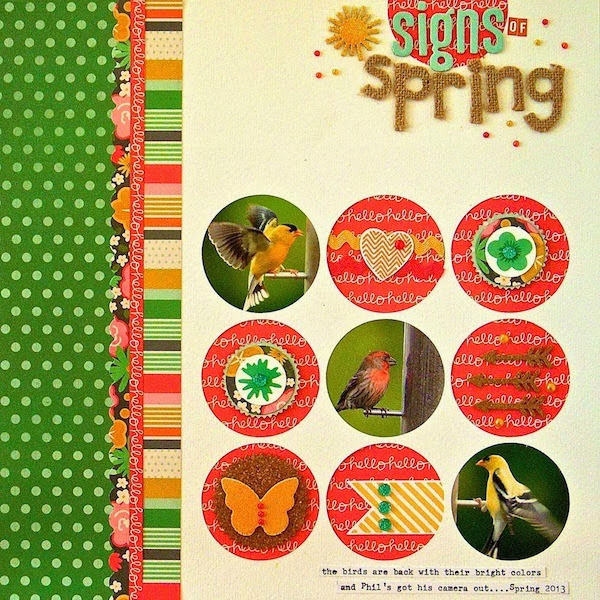 This month features a circle of grids and a few border strips. There's room for nine photos, but I chose three and filled the rest with embellishments. When the birds are back at our feeders with their bright colors and Phil's got his camera out to capture them in motion, then I know spring has arrived. Yes, I know that winter is coming on. Perhaps that's why I chose to fast forward right to spring. I used my Silhouette to create the circle grid. Then out came the punches, Stampin' Up! and Spellbinders dies to fill in the spaces with pretty embellishments. It was a bit of a tool extravaganza by the time the page was completed. You can find the downloadable sketch, as well as this month's color palette, in the article here. Here is my latest YouTube video, so you can see the process of how this layout came together, if you so desire. Thanks for stopping by! This is such a beautiful page, Sue! I'm loving all of the circles! What a fun page, lovin those circles and all the fun embellies you put in them..they are like mini layouts. Very cool!!! Love how you filled in each circle and how you used your Silhouette! Great ideas! Lovely layout. I love the way you did the title. Love your design and the circles! Your layout looks great! Love those photos and the colors. Can't wait to watch the video! Love the circle design and the great bird photos. I really love the way you used circles on this layout. 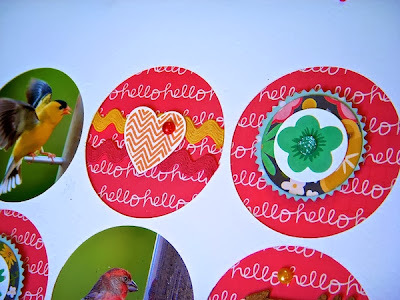 I may have to scraplift this idea :) And I am seriously impressed with the bird pictures. 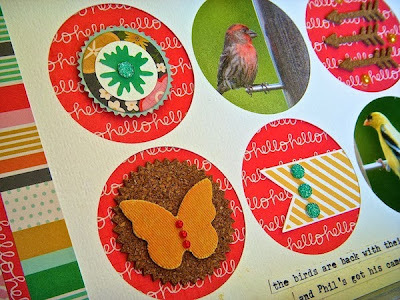 Love the gorgeous colors on this page Sue, and the way you used the circles for photos and embellishments! And your photo arrangement looks great in the diagonal design! What a fun page to put together - fab! What a bright happy page! Great page! Thanks for sharing your process video.